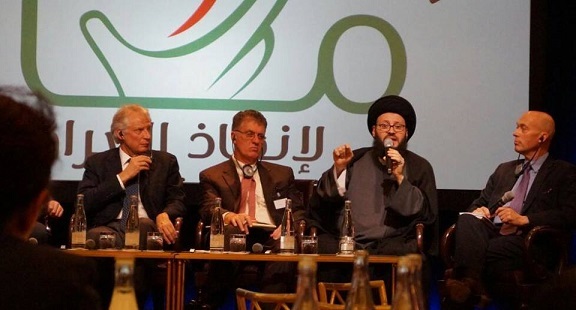 • الموضوع : Cleric Mohamad El Husseini in the Iraqi National Congress, "Together" in Paris . The political process has failed and we call for the Iraqi national reconciliation and the return of all migrants, especially Jews, Christians and Yezidis citizens to participate in the new political process. 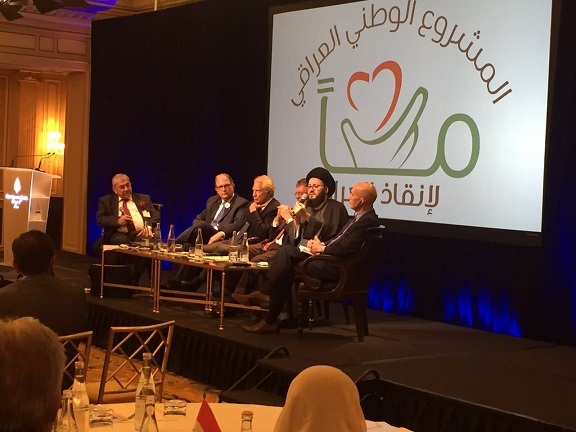 The Cleric Sayed Mohamad Ali El Husseini delivered his speech at the conference "Together" which is specialized for initiating Iraqi national political project; with the participation of the former Prime Minister of France, Dominique de Villepin and members of Congress, the Republican Senator David Weldon, the advisor in the US administration Bradley Blackman, and the US Senator Gerald Wheeler. Sayed El Husseini confirmed that we are convinced that the current political process in Iraq has failed for several reasons and we believe that the sectarianism, violence, extremism, corruption and injustice has spread dramatically. Therefore, a new Iraqi national political project need to be put forward in which all Iraqi sects, nationalities and spectrums participate under the rule of democracy. Cleric El Husseini envisioned the need to accelerate the Iraqi national reconciliation and start a new chapter. Sayed El Husseini called for the return of all Iraqi citizens to participate in the political process, especially Jews, Iraqi Christians and Yezidis who have been displaced from their homeland Iraq unjustly. With the return of all citizens and their participation in the new political process within the Iraqi national project, Iraq would have set sail towards safety.